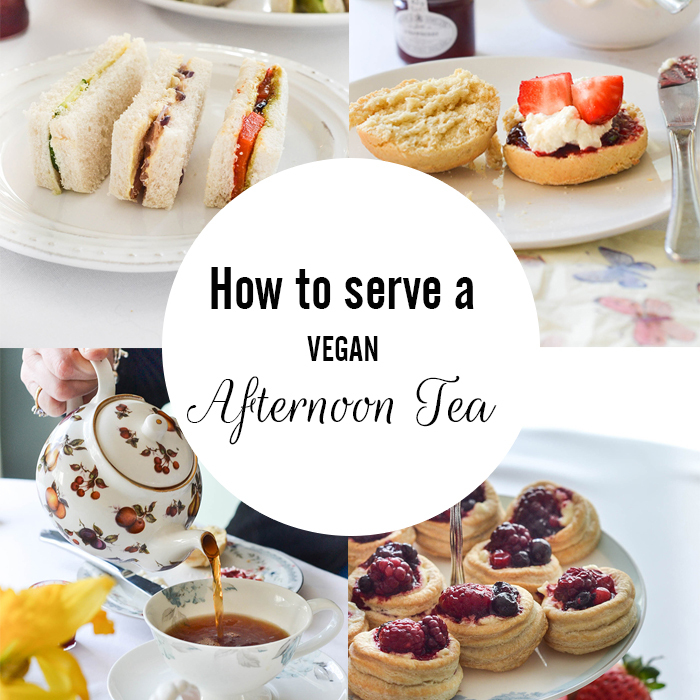 I’m putting together a guide on ‘How To Serve a Vegan Afternoon Tea’ and have been looking for some mini patisserie and desserts inspiration. These are 10 of my favourite recipes from around the web (including some of my own!) 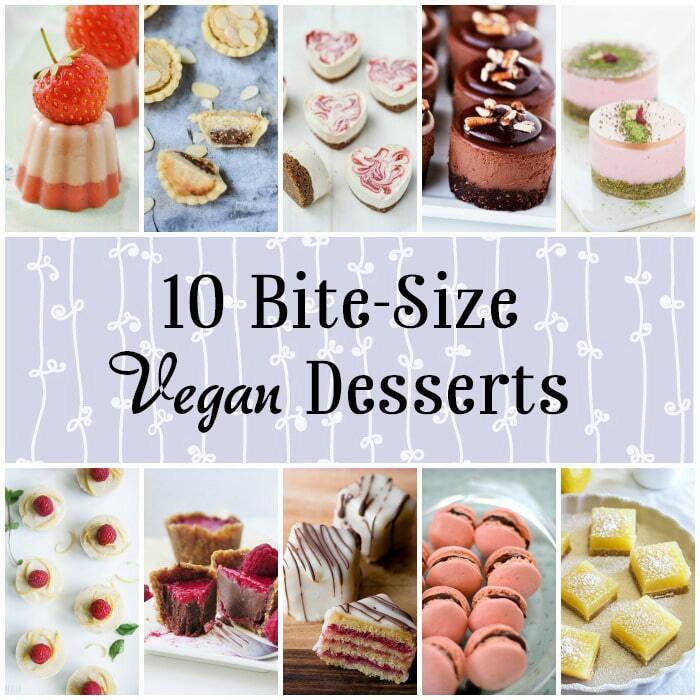 for miniature vegan desserts. 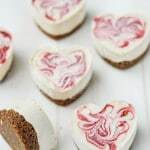 These bite-sized treats would be perfect for parties, get-togethers, afternoon teas, gifts or simply something cute and delicious to enjoy for yourself! 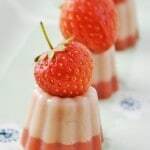 Tiny panna cotta desserts made using agar agar flakes with rose and strawberry flavours! Delicious and pretty, perfect for serving bite-sized treats at a party. 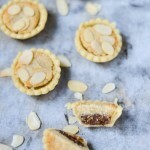 I made this recipe for Nakd’s Bakewell Tart bars. 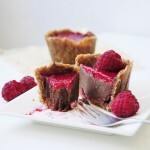 These mini tarts are so delicious and more-ish, party guests would love them. They’re gluten-free too! This is another recipe I made for Nakd, this time using their Strawberry Crunch bars as the cheesecake base but you could substitute for any base you prefer. They’re delicious, adorable and perfect for Valentines Day or Mother’s Day. How amazing do these look? It’s hard to believe these professional looking miniature desserts are in fact raw and healthy! Note: Recipe is in French (click here for English translation). 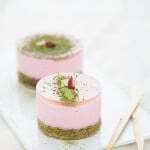 These are one of the most beautiful vegan desserts I’ve ever seen. They would be perfect served at a posh afternoon tea! 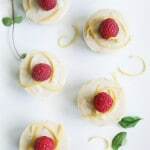 Fresh and flavourful little vegan cheesecakes. Ideal for a Summer party! The perfect mini dessert: Bite-sized cake! 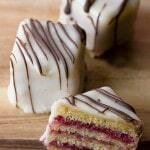 These petit fours would be ideal for an afternoon tea treat or would make an adorable gift for someone. These look so delicious and refreshing. The perfect bite-sized treats for Summer parties or to snack on at home. Vegan Macarons!!!!! 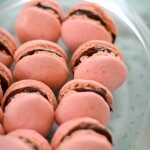 I have to try these out some day as macarons are something I miss dearly in my egg-less kitchen. 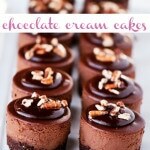 These would of course be perfect for an afternoon tea treat. I was hoping to find a recipe for the Puffed pastry that you have pictured with the fruit on it. I have a friend who has many allergies and Vegan recipes are the best way for me to make anything for her. When they're tasty it's even better because than she can eat the same thing everyone else is eating. I don't usually volunteer that something is Vegan until people eat it. Then she steps in because I will have told her earlier. If she were to eat it first, they'd know and probably not touch it. I had a vegan afternoon tea at Fortnum and Mason which was really great, the only part that let it down was the dessert which was simply a fruit salad and I had to watch my friend tuck into these amazing looking petit fours, macarons and pastries :-( Anyway, like you say, we can just make our own now! Each of these little treat is just adorable. I love mini desserts! They all look so delicious also! You're so welcome Vanessa, they sound so good! 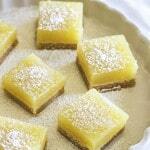 Let me know if you try either of them, I plan on making those lemon bars soon...! They look lovely, so cute and yummy. I know, I wanna try at least one of each!